As a runner, you may have heard the word before—but what does supination mean and why is it (allegedly) a bad thing? That’s what we are going to tackle in today’s as I’ll be giving you the full low-down on what supination is all about. Hopefully, by the end of this post, you’ll be better placed to assess whether you suffer from supination and to know how to deal with it. But first things first, let’s explain what underpronation actually entails. Pronation refers to the normal rolling-in motion of the ankles and flattening of the arches that happen during the walking and running gait. Some pronation is a must—ideally, 15% roll-in collapse at the ankle—as it helps distribute the shock of impact while walking or running. Virtually everyone pronates, but to different degrees. Some may pronate much more or much less than others. 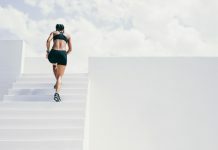 Too much pronation during the running cycle—what’s known as overpronation—can result in collapsed arches, or flat feet, and lead to trouble in the hips, knees, and, of course, the ankles. Supination, also known as underpronation, is the exact opposite of overpronation. It also comes with its own set of problems—some of them which we’ll discuss in today’s post. In today’s article, I’ll solely focus on underpronation as I have already written an in-depth post on overpronation is a previous article that you can find here. Also known as underpronation, supination is a foot positioning issue usually stemming from having higharches. Technically, it refers to the insufficient inward rolling of the foot after landing on the ground during the walking and running gait. In a normal stride, the feet slightly roll inward and sit evenly on the heel so that the body weight is on the ball of the foot, then push off the big toe. However, runners who supinate tend to rest the bulk of their body weight on the outer edge of the foot, then push off from toes instead. This excessive stress placed on the outer edge of the foot, mainly on the pinky side, can cause problems for runners or any athlete performing high-impact sports. Supination might be caused by having naturally high-arching feet. Certain muscle imbalances in the lower leg, improper footwear as well as a history of chronic injury, may also turn you into an underpronator. What follows are some of the most common signs that you may be an excessive supinator. The simplest way to tell if you supinate or not is to check the wear pattern on the rubber on a used pair of shoes. Start by placing your used running shoes on a table in front of you, then assess the back of the heels. If you notice drastic wear and tear on the outside, or lateral, portion of your shoes, then you most likely underponate. As a supinator, the outside of the heel of your foot strikes the ground first. Since the foot does not adequately roll inward after hitting the ground, the force of impact stays concentrated on that particular region of the foot. That’s why you’ll notice much more wear on the outside heel as well as in the forefoot area—just behind the toes. The second thing you can do is to examine your foot type. The wet test a good objective assessment that determines whether or not you underpronate. To perform it, wet the bottoms of your feet with water, then step onto a flat surface, preferably walking across some cardboard, thick paper or any surface that clearly reveals a footprint. Remember to get print of both your feet to assess them closely. Feet with a normal amount of pronation and healthy arches will leave a visible arch connected to the forefoot by a strip roughly 1-2 the width of the foot on the outside of the sole. Yet, if only a fraction of your arch is visible (as shown in the image)—or none at all—then you probably have high arches, therefore, might be a supinator. Note: The footprint you leave behind—mainly the way in which your arch appears—is a clear sign of how your foot pronates, but it’s not the ultimate sign of supination. Make sure to follow your foot type test with a visit to a certified professional (i.e., podiatrist, physical therapist, or running coach) who can provide a proper gait analysis. Tightness of the calf muscles tends to reinforce the movement pattern caused by underpronation, which, in turn, magnifies the effect of supination. This usually results in plantar fasciitis, which is a common overuse injury that manifests as sharp pain or aches along the arch of the foot or in the middle of the heel. Supinators out there, there’s still hope for you. Here are some things you can do and measures you can take right now to soothe what ails you. The most recommended measure for alleviating the negative effects of underponation is strength training. Focus on, ankle, feet, and hip strengthening exercises. These will provide much more stability to your lower leg. Also, strengthening the inner calf muscle—mainly the gastrocnemius—can help reassert muscular imbalance and provide more stability throughout your gait. Good footwear is key in addressing underpronation. Most experts recommend going for flexible and lightweight running shoes for runners who supinate. This means shoes with additional flexibility and cushion. As a side note, make sure to visit a podiatrist first who may recommend the most appropriate type of shoe for supination. Remember to replace your used up running shoes before they’re drastically worn on the outer side. Here’s the full guide you need. You should also consider getting your shoes from a specialty running store to get some additional advice before you make any purchase. Experts also recommend using supination friendly orthotics. The right orthotics should focus on offering cushioning and a comfy surface area for your foot. These can support the arch and heel to control the motion of the foot. Inserts for underpronation can be found in stores and one. But, to err on the side of caution, consider getting a custom-made by a podiatrist. This is especially the case if you log in serious mileage and/or have a history of underpronation issues. Although the science on the effectiveness of stretching is still inconclusive, I strongly believe in its importance in injury prevention—especially for underpronators. Having a full range of motion is extremely important in injury prevention. When your muscles are flexible, they’ll be able to move more efficiently and perform without being overstretched. Regularly stretch your shins, calves, ankles, and Achilles to help reduce the tension that might be contributing to your supination. Here are some of the stretches you should be doing on a daily basis. Last but not least, take a look at your running technique. It’s vital to opt for proper running technique to address excessive underpronation. Land as lightly and softly on the feet, hitting the ground as close to the midfoot as possible instead of the heel. Stay light on your feet rather than pounding your feet too hard on the ground. Aim for a soft landing. Imagine running on eggshells of trying to run on water. Shorten your stride and improve your running cadence. Check this article for how. Land closer to your midfoot, rather than at the back of the heel. There you have it. 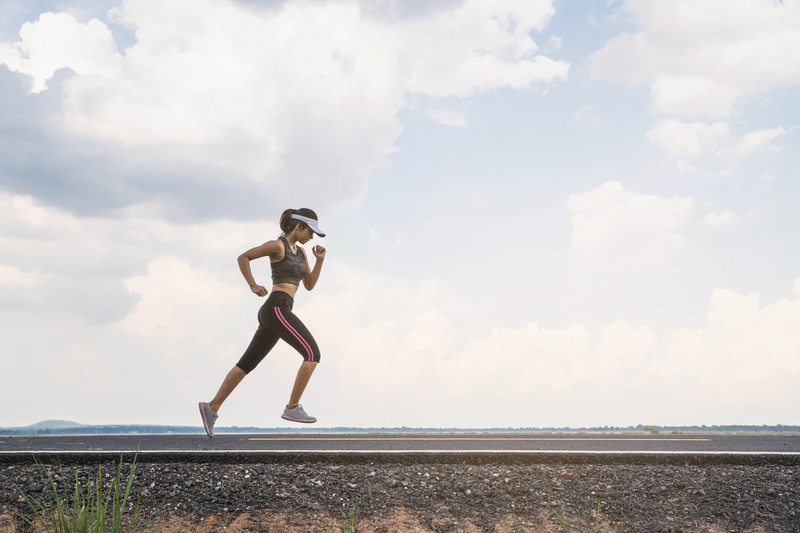 If you tend to under pronate during the running gait, then the above guidelines are exactly what you need to help you soothe—and prevent—any potential pain or issues. Please feel free to share your thoughts and questions in the comments section below.